The Registrar reports to the Board of Directors. 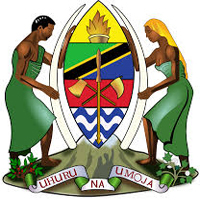 (vi) To promote good relationship with the Government and other organizations within and outside Tanzania; (vii) To be a custodian of all documents of the Board including safe keeping official seal, contracts and other confidential documents of the Board; (viii) To supervise and monitor day to day operations of the Board; (ix) To act as Secretary to the Board of Directors, and (x) To perform any other duties as assigned by the Board. The Successful Candidate will be offered competitive remunerations according to the Board’s remuneration scheme. TETEX House Pamba Road. 2nd Floor, Dar es Salaam. Holder of a basic University degree or equivalent qualification in Finance or Accountancy and a holder of CPA (T) or ACCA with five years experience and registered with relevant Professional Board. As per the Scheme of Service of the Board. TETEX House, Pamba Road, 2 nd Floor, Dar es Salaam. N.B: Those who applied before are required to re-apply.